The past 10 years has seen an explosion in the number of international skiers and boarders heading to Japan. And while the Japanese ski resorts have a lot to offer in terms of facilities, restaurants and cultural experiences, there is one main reason why everyone is drawn here – the powder. Coming direct from Siberia, this is some of the lightest, driest powder to be found on Earth. The ski resorts in Japan get around 10-18 meters of snowfall per year, and the powder factor is much higher than many other destinations in the world. That said, it’s never guaranteed. When Scout visited Hakuba at the end of February 2014 our powder dreams melted as quickly as the snow in the village – it was one of the warmest Februaries the area has had in a long time. So like any trip to a ski resort, you can never be guaranteed of the conditions – but still, you’ve a more than decent chance of getting snow up to your knees, if not over your head. Scout also loves skiing in Japan because it provides an opportunity to experience a different culture. Firstly there’s the food, which is incredible. Secondly, the service is extremely friendly and efficient – which alone is enough to make you fall in love with the place. For an authenitc experience stay for a while in a traditional Japanese hotel. Thirdly, there are a lot of options for fun side trips – such as a visit to Tokyo or Kyoto. Some of Japan’s ski resorts have become significantly Westernized in recent times, particularly Niseko and Hakuba. Niseko has even been nicknamed ‘Bali in the snow’ and ‘Little Whistler’ – because both of these places are popular with partying Australians. But don’t let that stop you from skiing in Japan. 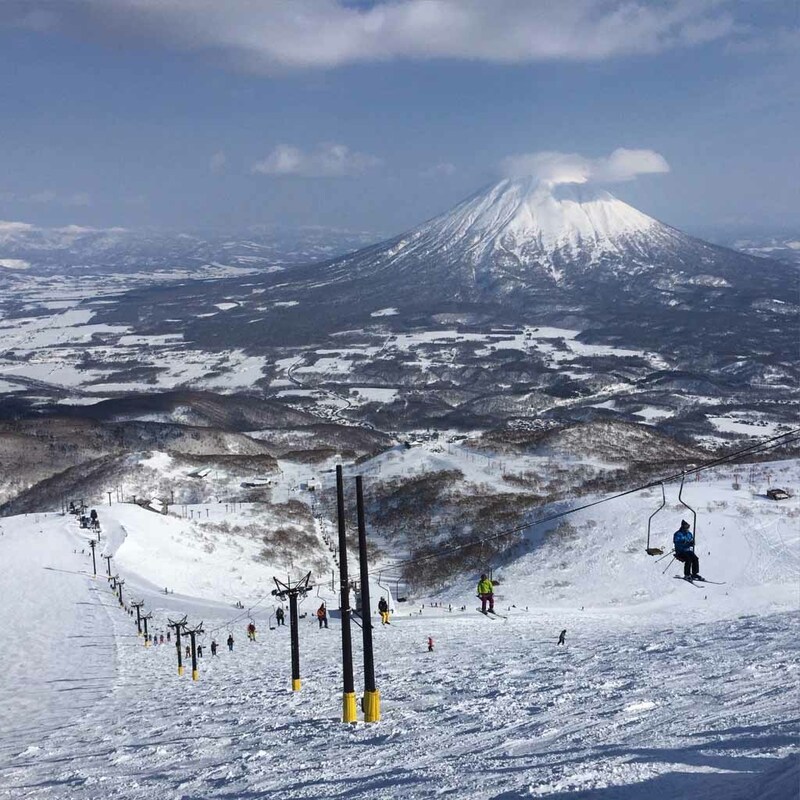 Hakuba and Niseko are still wonderful resorts, and there are also hundreds of others to choose from – in fact, Japan has over 500 resorts scattered throughout Honshu (the main island) and Hokkaido (the north island). The skiing and boarding experience in Japan is different to other countries. You won’t find incredibly steep terrain, couloirs and cliffs.Instead, the runs are relatively gentle and the skinny birch trees are easy to glide through. Of course there are still some steeper runs, but thrill seekers are mainly drawn to Japanese slopes for the opportunity to float through bottomless powder. Bring your fat skis! It should be noted that some resorts don’t allow tree skiing, so if this is something you’re after, choose carefully. Meanwhile, there are plenty of runs for beginners and intermediates, and there are always giant mogul fields in every resort - the Japanese love their moguls! Most resorts have some terrain park features - though they are nothing like resorts in North America. Many also offer kids’ snow play areas. The chairlift infrastructure isn’t as advanced as it is in North American or European resorts – development of on-snow facilities even in places like Niseko has not necessarily kept up with the growth in popularity. And although there are a few gondolas and covered chairs (to shield you from the elements), don’t expect lots of high-speed detachable quads. 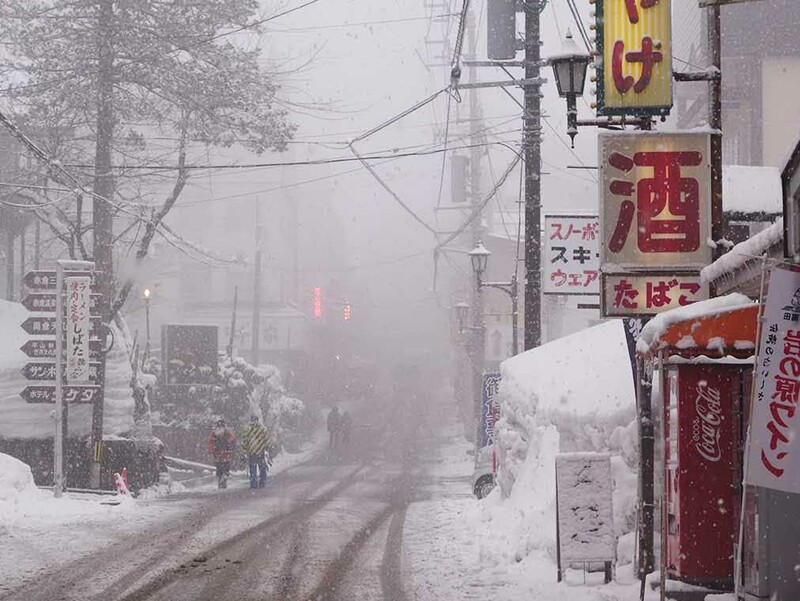 Every ski resort in Japan is completely different. Some provide a more traditional Japanese cultural experience (such as Nozwa Onsen, Myoko Kogen and Zao Onsen), while others, such as Rusutsu, Tomamu, Kiroro and Appi Kogen offer an authentic Japanese experience but in a more modern "purpose-built" way. Then there are the resorts that have been well developed and heavily Westernized; the most notable among these being Niseko and Hakuba. Another thing you’ll notice if you travel to a few different resorts is that some will have a true village feel to them, while others are just a collection of buildings. Apart from the happening après scene in Hakuba and Niseko, nightlife isn’t one of the strengths of a Japanese ski holiday. However there’s always a great selection of restaurants (on and off the mountain) that serve up all sorts of Japanese delicacies. Some resorts are also home to a few fine dining restaurants that serve fantastic international cuisine. 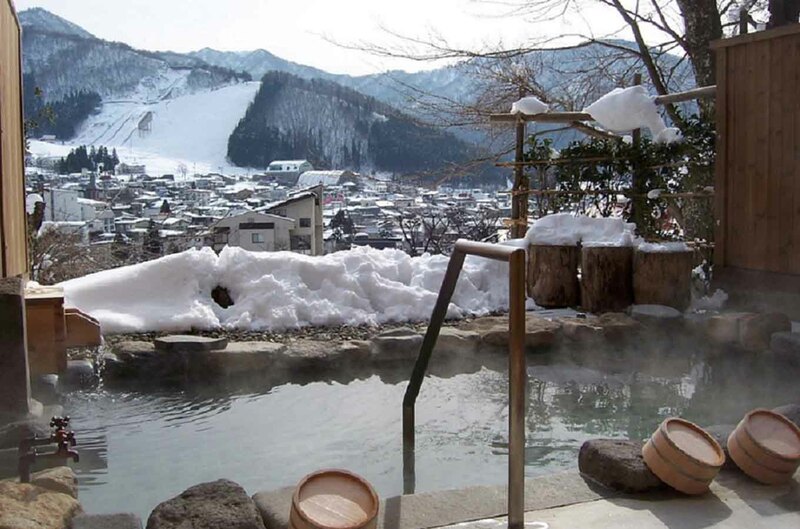 If you need to relax after an exhilarating day on the slopes, it’s well worth donning your birthday suit and taking a soak in a natural hot spring onsen. Aside from the fact they’re perfect for soothing your tired muscles, natural hot springs also offer a host of health benefits. Be sure to read our guide to onsen etiquette before you go. Services at most of the resorts are now well catered to Western skiers and boarders (some more so than others). Most resorts offer a decent selection of shops where you can buy and rent ski gear. And the ski schools should have at least a couple of English-speaking instructors. (Although if you are choosing a small, lesser-known resort it may be worth checking if English language ski lessons are available, if this is what you require). A ski trip to Japan can be anything from cheap and cheerful to high-end luxury and everything in between. In recent years accommodation prices in popular resorts, particularly Niseko, have significantly increased and when cominbined with a falling dollar (particularly the AUD) rates can go well above similar quality accommodation in North America, while moderately priced accommodation has become incredibly scarce. 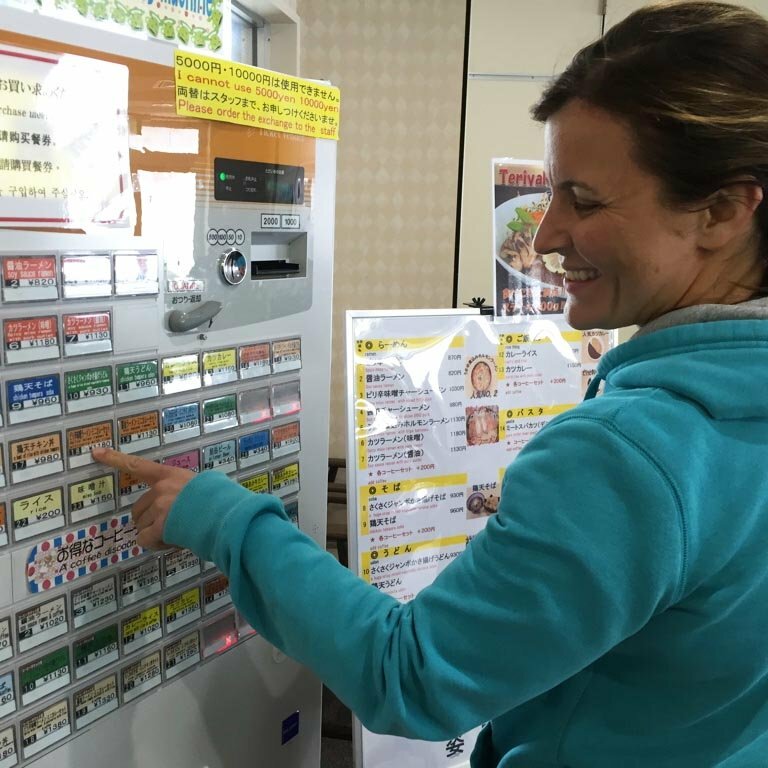 Lift tickets are usually around ¥5,000 per day while a rental package is also around ¥5,000. On-mountain meals can be great value (anywhere between ¥600-¥1,500) and you can also stock up on filling Japanese snacks at a 7-11 for a few dollars. The cost of dining out in resorts varies wildly starting at around ¥1,000 for a steaming bowl of delicious ramen. Some of the more traditional hotels include amazing multi-course Japanese dinners as part of a package while many large resorts include ginormous buffets that generally cost around ¥4,000. To get the best deals travel in non-holiday and non-peak periods (such as the second half of February) for better deals and choose smaller, less popular resorts and local accomodation. 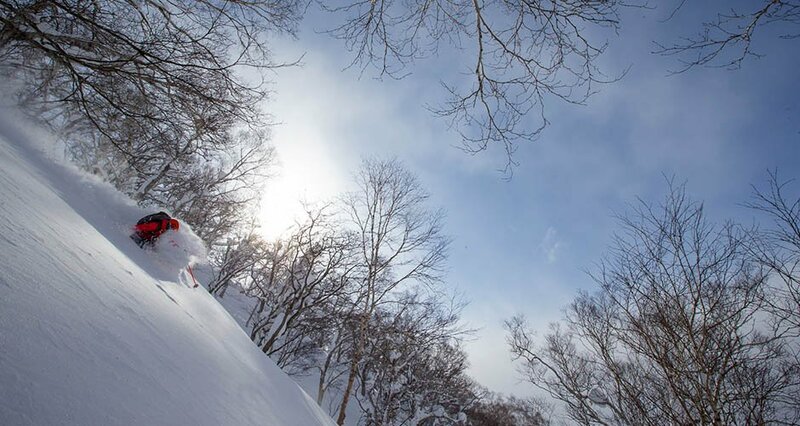 Contact Scout to help find the best deals as part of a Japan Ski Package. Tokyo has hundreds of direct international flights. There are two main international airports, Narita and Haneda. Narita is the biggest. Both airports have direct domestic flights to Hokkaido (including Sapporo's New Chitose airport and more) and both have direct shuttles to the Nagano Ski Resorts. It is about an hour by train (the Narita Express) to Tokyo. 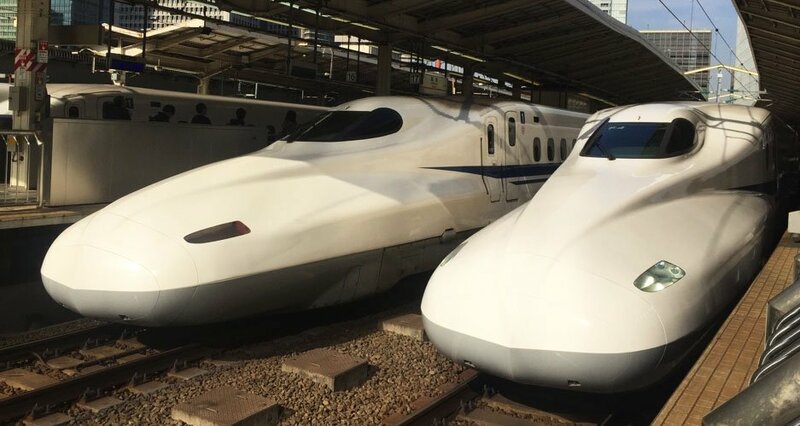 To get to any of the resorts in Honshu (the main island) from Narita or Haneda you can opt for using the highly efficient train system and Shinkansen High Speed trains (expensive but fast and fun! ), with connecting buses to the resorts. These all leave from central Tokyo, and purchasing a JR Rail Pass can be good value if you plan on visiting several resorts and/or adding side trips to places like Tokyo or Kyoto. Or if going direct from Narita to the Nagano area resorts you can take a Nagano Snow Shuttle (approx 6 hours, Scout can include this as part of a package) or a Chuo Taxi (shared mini-buses that leave based on your arrival time, also about 6 hours). There are some international flights that go direct to New Chitose Airport in Hokkaido (including from Honolulu, Hong Kong, Seoul, Beijing and Bangkok) as well as many domestic flights from Narita, Haneda and Osaka (for Kyoto). From New Chitose Airport the easiest way to get to your resort is via a shuttle bus (which can be booked as part of a Scout Package). You can also catch a train very close to many resorts. If you want to have some freedom to do a bit of travelling around, Hokkaido is a great place to rent a car. However given the huge amounts of snow they get you will want to be experienced in driving in poor conditions and have a flexible schedule in case you get stuck (or want to chase some powder!). Make sure you have an international drivers license, and a wifi device so you can use Google maps on your smartphone (believe us, this is far easier than using the supplied GPSs, even if they do offer them in English). Skiing in Japan can be bitterly cold and sometimes it will snow for days on end, particularly in January and February. Bring plenty of warm layers! Some of the more popular resorts with Westerners (particularly Niseko, Hakuba and Nozawa Onsen) can be very crowded with Australian families over Christmas and in January. Lift lines can be long, accommodation prices are higher and can be booked out more than six months in advance. Other times to avoid are weekends and the days around Chinese New Year (Jan 28, 2017) which can also be crowded and expensive. The beginning of December and March can be less crowded with a still decent chance of powder dumps. These months are also a little warmer and accommodation is cheaper. Unless you are staying in a westernized hotel, rent a wifi device. 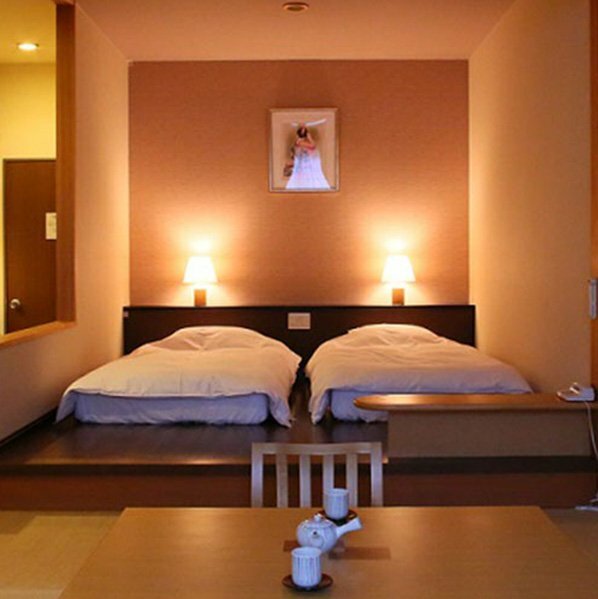 Not only will you be able to use your smartphone/iPad or computer, but many Japanese style hotels do not have wifi in bedrooms. You can then use Skype, Facetime and other apps to stay in touch with home or make local calls. There are several booths at Narita and Haneda airports that rent wifi devices or you can have one delivered to your first hotel. Most hotels (apart from those very specifically targeting Westerners) do not have English Lanugage TV in rooms. Another reason to get a wifi device or bring a few good books! If you're taking your own skis/boards or have a lot luggage use a courier service, especially if you plan on having a stop over in Tokyo. It's cheap, easy (usually you can get your hotel to help you) and means you don't have to deal with it on crowded trains. They have agents situated right in the arrival halls of Narita and Haneda airport. Get plenty of cash out at the airport. Many businesses (particularly restaurants & bars) do not take credit card, and a lot of resorts only have one ATM and often they close at 5pm. We've also heard of some people having difficulty with certain international credit cards, even in supposedly international ATMs. Respect the culture and you will love it! Learn some of the language, read up on Onsen Etiquette and know the difference between bathroom slippers and hotel slippers by reading our guide to staying in a Japanese hotel. More insider tips, with contact details, are in our Scout resort Field Guides - free with any booking via Scout.